Home » Website Building » SEO » What is Google Webmaster Tools or Search Console? Webmaster tools, as the name indicates is a collection of tools for webmasters, site owners and bloggers. These free tool will help to monitor and improve the performance of a website in search engines. Almost all search engines offer webmaster tools platform. Google Webmaster Tools or Google Search Console offers various utilities to help submitting your site to Google search engine and improving your site’s visibility in the search result. The chance of getting more organic visits increases multifold, once your site is visible to more audience. This helps you to get more revenue from the advertising programs like AdSense as well as more sales in case if your site is an ecommerce site. So, whether you are a business site owner or running a blog for advertising, first and important thing you should do is to start using Google Search Console. The first step is to open Webmaster Tools account. In order to use all the features, you need to add and verify your sites successfully with Google. 1. Message – check notifications on your account. Structured Data – view structured data error with details. Rich Cards – check and fix rich cards errors. Data Highlighter – improve the search appearance look by showing rich snippets like rating. HTML Improvements – check duplicate tags and meta descriptions. Accelerated Mobile Pages – fix AMP errors. 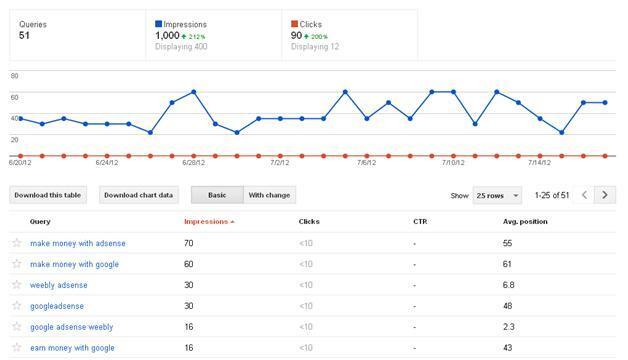 Search Analytics – view clicks, impressions and search queries. Links to Your Site – number of links and sites pointing to your site. Internal Links – get details of internal link structure. Manual Actions – check whether your site is penalized by Google. 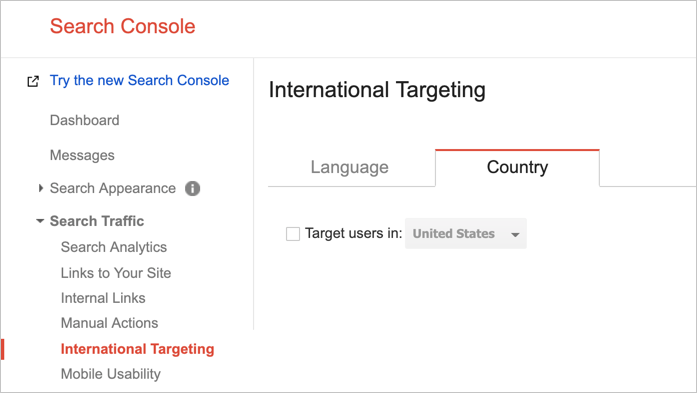 International Targeting – set geographical settings. Mobile Usability – check mobile usability errors and fix them. Index Status – get number of indexed URLs. Blocked Resources – view blocked resources for Googlebot. Remove URLs – temporarily remove pages from Google search results. Crawl Errors – get details of various crawl errors. 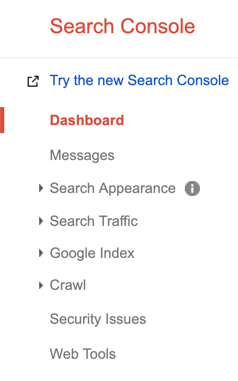 Crawl Stats – check the crawl statistics. Fetch as Google – use this option to quickly index modified pages. robots.txt Tester – check your robots.txt entries. Sitemaps – submit XML Sitemap. URL Parameter – configure URL parameters when you see index coverage errors. 6. Security Issues – view malware and security status of your site. 7. Web Tools – view ad experience and other tools. The features are classified based on various stages of search like crawling, indexing and serving. In addition to these features there are other options under “Gear” icon for preferences, site settings, checking Analytics property and verification details. Google always change the interface and as of July 2018 when we update this article, the new Search Console is in beta version. We explain here in this article with both old and new Search Console interface wherever applicable. Below are some important functions you should understand when using Google Search Console. You can tell Google to improve your search result for the particular geography by setting “Geographic target”. You can set this option by navigating to “Search Traffic > International Targeting” and go to the country tab. Learn more about Geographic target setting here. Sitemaps is a XML file tells Google about the way pages are organized in your site. XML Sitemap submission makes sure that Google knows about all the pages on your site, including URLs that may not be discoverable by Google’s normal crawling process. There are various Sitemap generator tools available on the Web. Also most of the free website builder tools like Weebly automatically create a Sitemap of your website. You can submit your Sitemaps to Google under “Crawl > Sitemaps”. Learn more about submitting your Sitemap to Google. On new beta interface, simply click on the ‘Sitemaps’ section and submit your XML Sitemap. Ensure the status is showing as “Success” after processing. Remember, Google needs many days to process your Sitemap for the first time. After the first crawl, Google will crawl your site everyday and check for changes based on Sitemap links. Most important feature of the Webmaster Tools is analyzing your site traffic based on the Search Analytics. This helps you to clearly understand what keyword brings more visitors to your site and the average search results position of your site for that keyword. Based on this you can optimize your site’s keywords and improve the search ranking. you can access the Search Analytics under “Search Traffic” section. With the new interface, Search Analytics is changed as “Performance” and available under “Status” section. Whenever you change the title, meta description and content of a page on your site, it will take some time for Google to crawl and index the modified content. This is the reason, you may notice Google’s search results and search preview shows different content. The crawling time may vary from few days to a month in some cases. If you have dynamic content on your site you can submit your modified pages to Google when the content changes instead of waiting for many days for automatic crawling by Google. Go to “Crawl > Fetch as Google” section and submit your modified pages for reindexing. After fetching the page submit for indexing so that Google search engine will index your new content and shows in the search results. Learn more about Fetch as Google option here. Integrate Google Analytics with Webmaster Tools to get source of traffic and which browser and operating system is used to view your sites. This will help you to optimize your sites accordingly to improve the ad performance and increase revenue from AdSense. Another important use of Search Console is to monitor different crawl errors. This will help you to understand the reason for pages not showing on the search and fix them appropriately. Now Google shows this as index coverage issues which you need to monitor and fix. The “Search Appearance” section shows all structured data tools along with AMP tool. Here you can check structured data and HTML improvements error and fix them on your site. Each function in Webmaster Tools help site owners to monitor corresponding errors and fix them on the site. We have explained important sections generally used by a normal site owner. Also we recommend to focus on content creation rather than analyzing unnecessary tools in Search Console. For example, you don’t need to use “Fetch as Google” or change crawl rate settings.